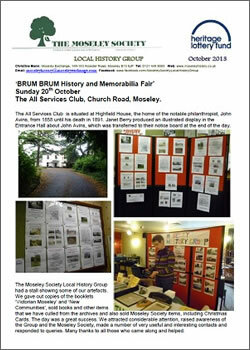 The HLF (Heritage Lottery Funded) project in 2012-2013 provided funding which allowed the Local History Group to carry out research across a wide range of subjects. 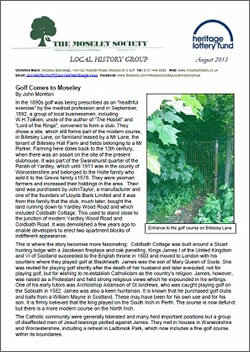 The results of this research can be seen in this website, in the Collection and in four HLF funded booklets. 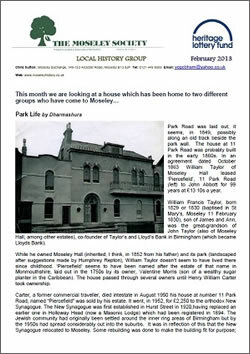 Click HERE to read the HLF Booklets. 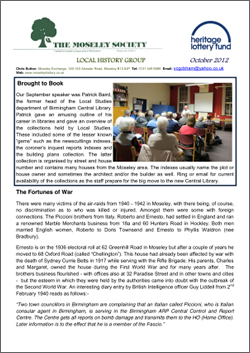 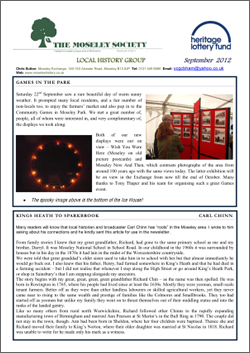 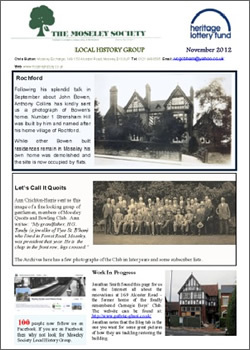 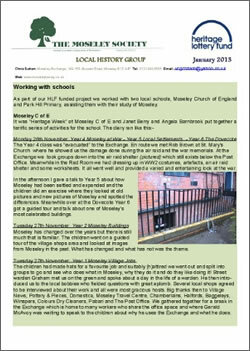 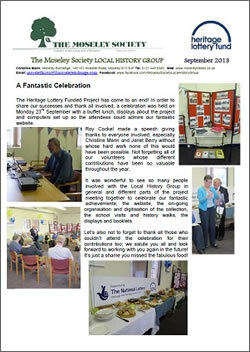 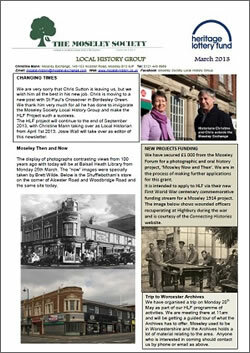 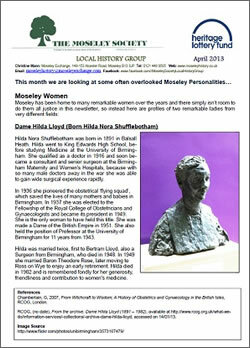 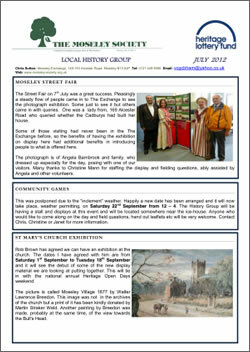 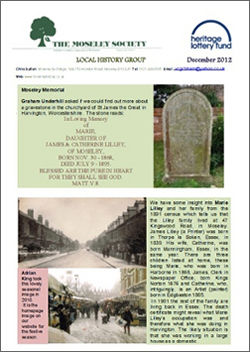 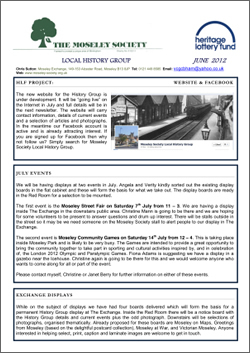 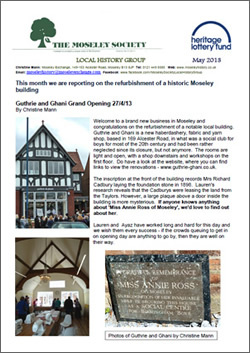 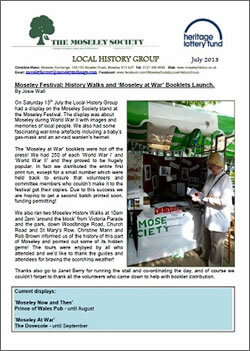 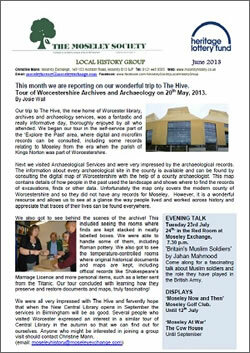 The Newsletters below document the progress of the HLF Project during 2012 and 2013 and include a number of interesting brief articles on local history. 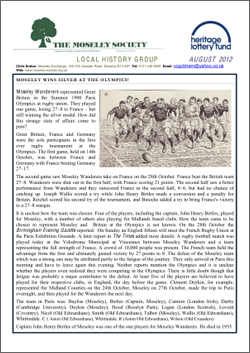 Click on an image to view the pdf file.